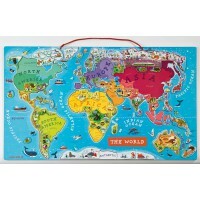 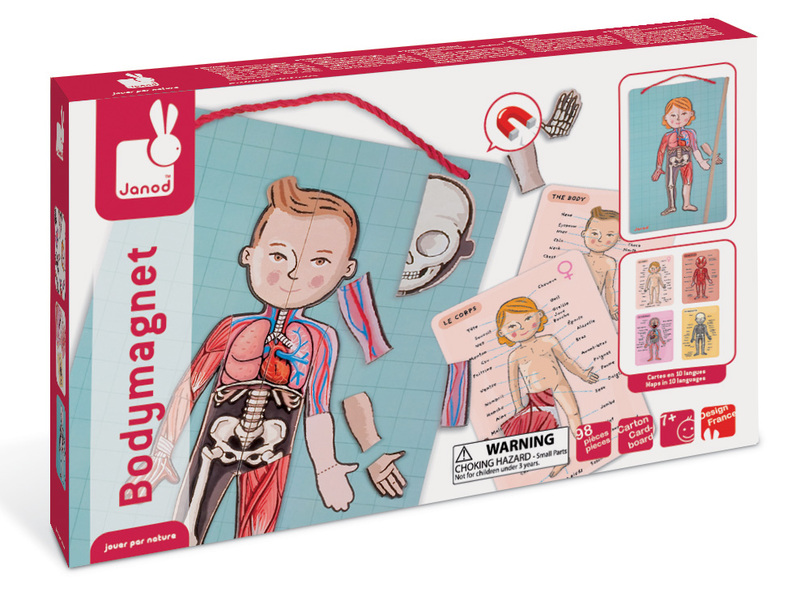 Children can learn and explore human anatomy in more detail with the Janod Bodymagnet puzzle. 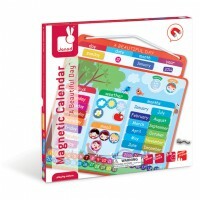 With the use of the back magnetic board, anatomy cards and 76 magnetic pieces, they can construct the body to learn the names of body parts, organs, muscular and skeletal systems. 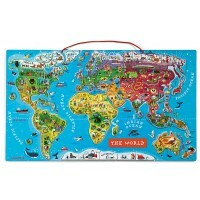 The back board has a cord for hanging on walls, and a baton is included for pointing out parts or role playing teachers/schools. 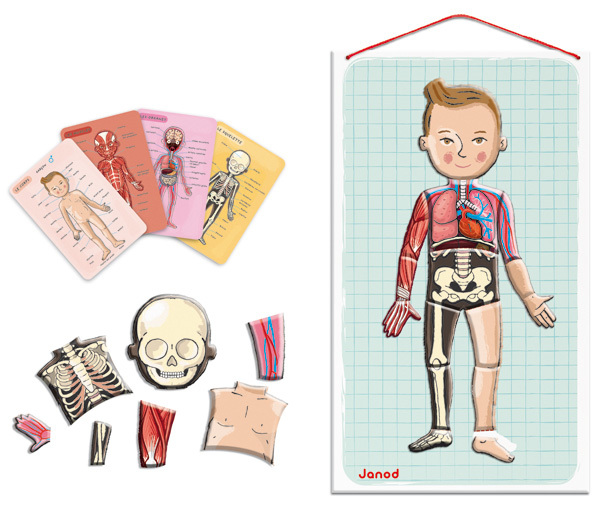 As an added bonus the cards with anatomy details come in 9 different languages to test future budding healthcare workers.